Bringing together theoretical and practical aspects of capital markets, Islamic Capital Markets offers readers a comprehensive insight into the institutions, instruments, and regulatory framework that comprise Islamic capital markets. Also exploring ideas about money, central banking, and economic growth theory and their role in Islamic capital markets, the book provides students and practitioners with essential information about the analytical tools of Islamic capital markets, serves as a guide to investing in Islamic assets, and examines risk management and the structure of Islamic financial products. Author and Islamic finance expert Noureddine Krichene examines the development of leading Islamic capital markets, including Malaysia, looking at sukuks and stocks in detail and emphasizing valuation, duration, convexity, immunization, yield curves, forward rates, swaps, and risks. Analyzing stock markets, stock valuation, price-earnings ratio, market efficiency hypothesis, and equity premiums, the book addresses uncertainty in capital markets, portfolio diversification theory, risk-return trade-off, pricing of assets, cost of capital, derivatives and their role in hedging and speculation, the principle of arbitrage and replication, Islamic structured products, the financing of large projects, and more. 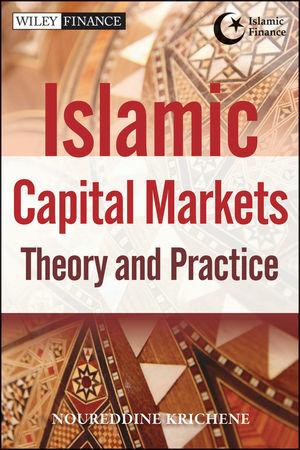 Discussing the advantages of Islamic capital markets and the prospects for their development, Islamic Capital Markets gives readers a fundamental grounding in the subject, with an emphasis on financial theory and real world practice. DR. NOUREDDINE KRICHENE, PHD, earned a doctorate in economics from the University of California, Los Angeles. He has taught Islamic finance at the Global University, INCEIF, in Malaysia, and was an economist with the International Monetary Fund Economist Program from 1986 to 2009. From 2005 to 2007, he was advisor at the Islamic Development Bank of Saudi Arabia. His areas of expertise are the international payments system, macroeconomic policies, finance, and energy and water economics.